Now is a great time to enroll your child in an English class or in preschool at New Hope School. 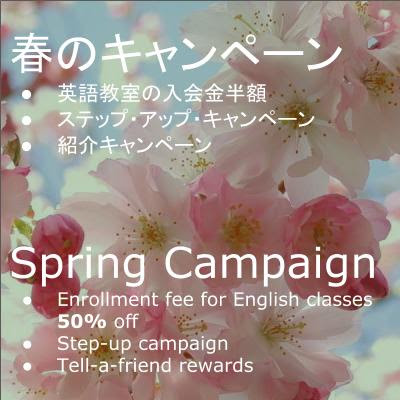 From now through April, English School enrollment fees are 50% off. Save ¥7500. If you are a current student, we will give you a ¥2000 gift card for each friend you introduce who enrolls. (Siblings are OK too!) Please make sure your friends tell us that you introduced them. Contact us for a free sample lesson.